Rumors about ZTE preparing a very affordable 5-inch quad-core smartphone have already been around and earlier such a device got approved for release in China, but now is the first time to actually see images of the actual handset. The ZTE U956 MT6589 is a 5-inch phone with a 720 x 1,280-pixel display aiming for the low price of 1,499 yuan, or around $240. 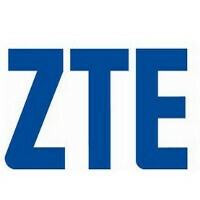 The 5-inch ZTE phone comes with an 8-megapixel auto-focus rear camera. The chip inside it is a MediaTek MT6589 and it does support both China’s 3G standard, TD-SCDMA as well as GSM bands. While there is no release date just yet, with those images of the actual handset leaking out we can safely assume it would launch sooner rather than later. Please don't tell me it's TFT, I'd pay 2 more dollars for IPS or AMOLED!. Based on same chip but with 5.7 inch screen and 1 GB ram would be Zopo 950 also from china for ~$300 .